Today I’m going to show you how to make low carb fettuccine noodles out of cream cheese, eggs and lupin flour. 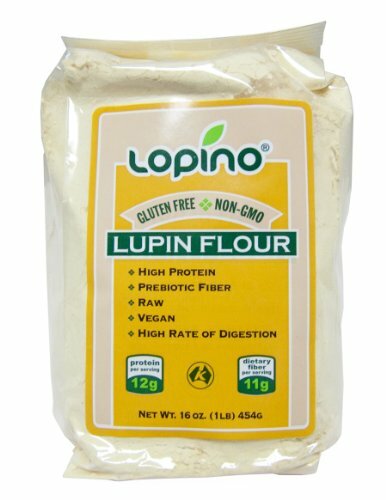 The idea to use lupin flour came from Queen Keto. Lupin flour is a high protein, low carbohydrate flour made from the legume of the sweet lupin. (It’s related to other legumes like peanuts and soybeans, so if you have a nut allergy, you had better steer clear.) You can leave it out of the recipe if you like, but it does give the fettuccine noodles a little extra oomph. Kind of like the Holderness mom when she gets her zoodle on. Low Carb Lupin Flour Noodles are easy to make with only 3 ingredients. 1. Preheat oven to 325 degrees F and cover a cookie sheet with parchment paper or a silpat mat. 2. Add all ingredients to a blender and blend until fully combined. Scrape down the sides halfway through. 3. Pour the mixture onto the prepared cookie sheet and tilt the pan until mixture covers the pan from edge to edge. 4. Bake for 10-14 mins until firm and opaque all over. It should be shrinking from the edge of the cookie sheet. Test to see if you can peel it easily from the parchment or silpat mat. If it sticks then it isn’t ready yet. 5. Remove from the oven and let cool for 10 minutes. 6. Completely peel it off of the parchment or silpat mat. Roll the sheet of noodles up and cut with a sharp knife to create 1/4 inch wide noodles. 7. These are best if they are gently simmered in a sauce or broth for a few minutes before serving. If you liked this noodle recipe, then you might like my recipe for Egg Noodles, Cold Noodle Salad or Pad Thai. UPDATE: Not everyone has Lupin flour handy, so I’m going to share a great recipe that I found on the I Breath I’m Hungry blog. All you need for the recipe is eggs and cream cheese. Hi, I’m the creator of the original recipe. For those who asked about storage: you can freeze batches in zip-lock bags. Defrosting is quick and the texture and flavour remain unaltered. For those wishing to avoid lupin, I have another pasta recipe on the blog, called “pasta #2”. I know – very inventive :D.
My recipe includes 1/2 tsp guar gum to add extra elasticity and a texture that mimics real wheat pasta. Thanks so much for the tips and the great recipe, Antya! Did you happen to make a video of these being made? I made it this weekend and struggled a bit to spread it out. I used parchment paper and a high sided cookie sheet. Everyone liked it!!! Any help would be appreciated!! No, I’m sorry but I don’t do videos. It is a bit tricky getting the batter to spread out evenly. 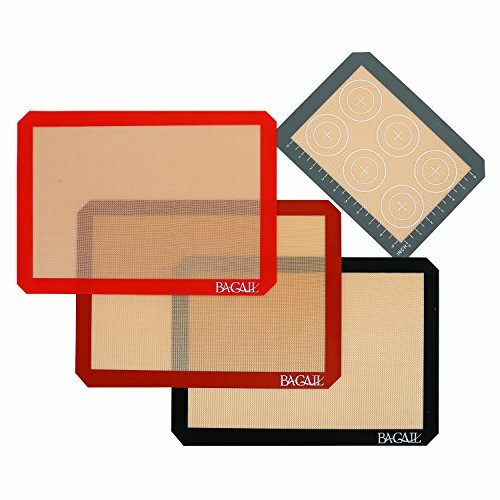 I recommend using a silpat latex mat if you can find one. It kind of grips the egg mixture and makes it easier to spread out. Parchment paper is slicker and so it’s harder to use. My eggs were large, but followed the recipe exactly otherwise. Batter seemed ok and noodles came out tasty. I obviously used the wrong pan. Will definitely be making again. Thank you!! I didn’t have Lupin flour and made the recipe with 3 tsp of coconut flour and the noodles turned out great! Great! Thanks so much for letting me know that tip. Won’t it work with Almond Flour or Coconut Flour? No, I’m afraid not, but it is optional. It improves the texture but is not necessary for the recipe to work. I really like these noodles for Keto. Both the taste & texture is good; closest I’ve found to traditional noodles. A few changes I made to the recipe are: rather than use only lupin flour I use 1t each oat fiber, lupin flour, potato starch; plus 2T ghee for added flavor, fiber, & probiotic health. After blending I pour onto Silpat like the recipe specifies, bake 325° for 12 min, roll up & slice into noodles. I do not boil these or cook again before eating. Simply top with heated sauce or microwave quick with butter. Those changes sound good. I will have to give them a try. Thanks for posting. How can I store the noodles if I want to make them for another day? They are best when you eat them soon after you make them, but you can store the noodles in an airtight container in the refrigerator for several days. Making your own pasta sounds so much fun! Yum, I haven’t heard of Lupin flour before. I’ll have to give this dosh a try. Yay! Let me know how you like the noodles. I’ll definitely try it with gluten-free flour. I’ll definitely also get a reusable baking mat! I don’t think that it will work with another flour. It needs to be either Lupin Flour or Vital Wheat Gluten for it to work. But the good news is that you can skip the Lupin Flour altogether and the recipe will still work. The Lupin Flour adds a nice texture, but isn’t necessary for the dish to succeed. Looks so delicious! I love how easy it is to make! Yep, it really is easy to make. Thanks for your comment! Whoa I’ve never heard of Lupin flour! Awesome. Always looking for new low carb options of favorites – thank you! Is the flour can be change to something else ? No, but you can skip the lupin flour if you don’t have it. It improves the texture, but isn’t absolutely necessary.